There are a lot of unique aspects to the Fantasia Master of Mystery slot game which we think all avid slot players are going to like. This slot however is a NetEnt designed slot game and as such when you do discover an online casino site that has it in offer you will be playing it via an instant play type of casino gaming platform. The playing structure on offer is a 243 ways win one and whenever you do send its five video reels spinning into play with all of that huge number of ways to win you will only be required to wager as little as 25 coins, on an increment of 25 coins. When playing off the bonus game you have the chance of winning up to 270,000, and as such with a lot of luck in playing this slot you could win an enormous amount of cash! Below you will find details of all of the unique bonus games and bonus features that can be triggered and awarded to you so read on and then make sure you test drive this slot sooner rather than later, as we think you will love it! 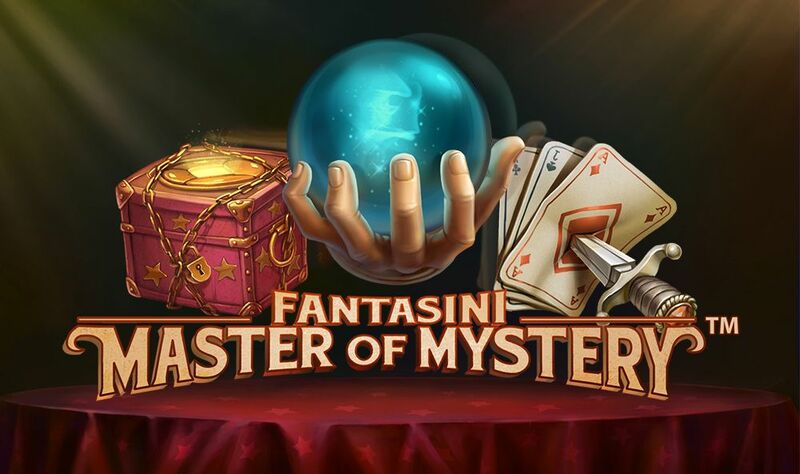 If you have been looking for a slot to play that does not have a main bonus game that you have to spin in scatter symbols or bonus symbols to trigger, but a slot that will award you with a bonus feature on every spin you play off then look no further than the Fantasia Master of Mystery slot! This slot game is going to award you with something known as its Linked Reels feature every single time you play off a base game spin. Whenever you do click onto the spin button to start each new spin playing off two of the reels will become Linked Reels which means they will be spinning around together with the same reel symbols in the same position and when those two reels stop spinning they will have the exact same reel symbols on each visible reel position too. However, what could also happen as the reels are spinning is that the number of Linked Reels could be increased completely at random, so you could end up with three, four or all five reels finally coming to a stop with the same reel symbols in position on each of those reels. The aim of course will be for you to get all five reels becoming Linked Reels and then see the higher paying reel symbols being display on all five reels, as that will ensure thanks to the 243 ways to win on this slot you will have formed the jackpot paying winning combination at the very least once on that spin! The way that the Linked Reels bonus feature is going to be awarded every time you send the reels spinning on the Fantasia Master of Mystery slot can be exciting at first, however over time we think you are likely to get bored of playing this slot. The main reasons for us saying that is that you are going to experience a large number of spins where the Linked Reels do not help you form any winning combinations at all, and that could lead to you getting frustrated! You may enjoy playing this slot at first and we would not put any player off playing it but we do think that the repetitive way that bonus feature plays out will see you craving another slot that offers a main bonus game such as a set of free spins!